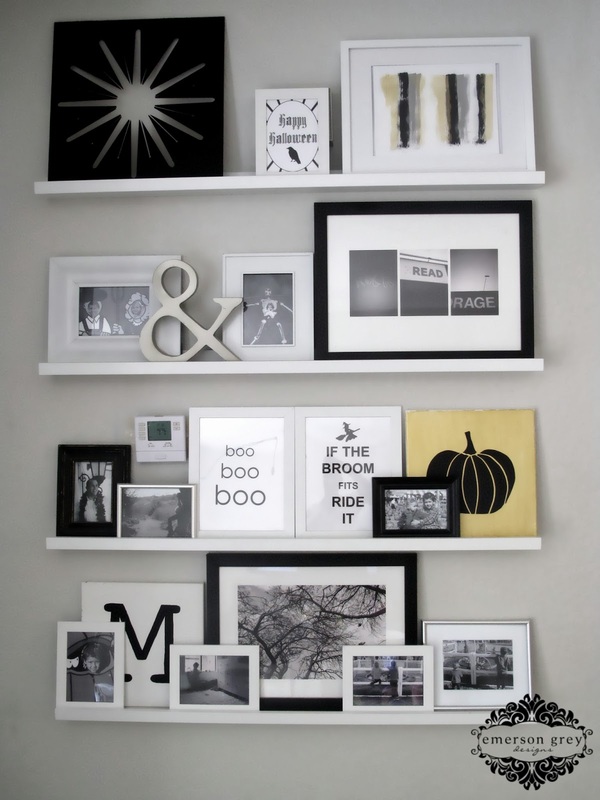 I did a post awhile ago on styling shelves and in it I featured my photo wall in my home. 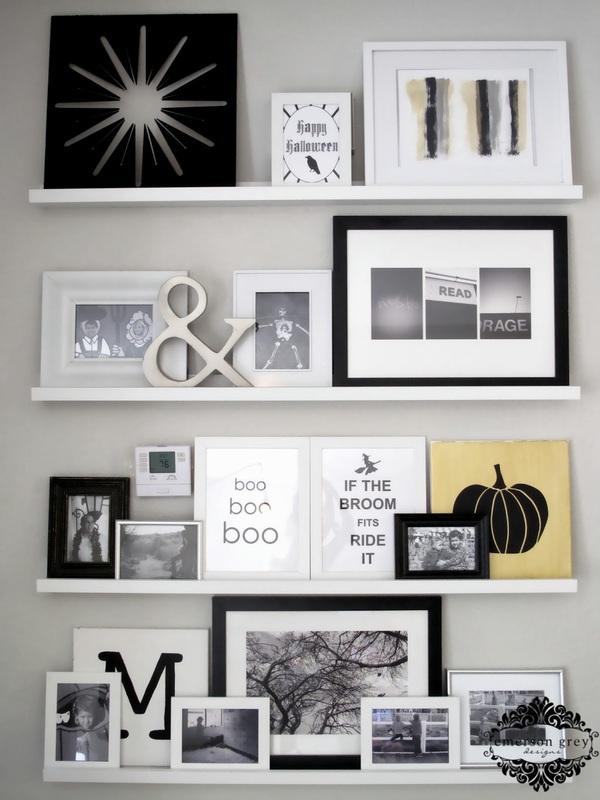 I decided for Halloween it would be fun to change up the photos in this wall to represent this holiday. I mean, really, what do we ever really do with the hundreds of photos we all take of our kids at the pumpkin patch?? 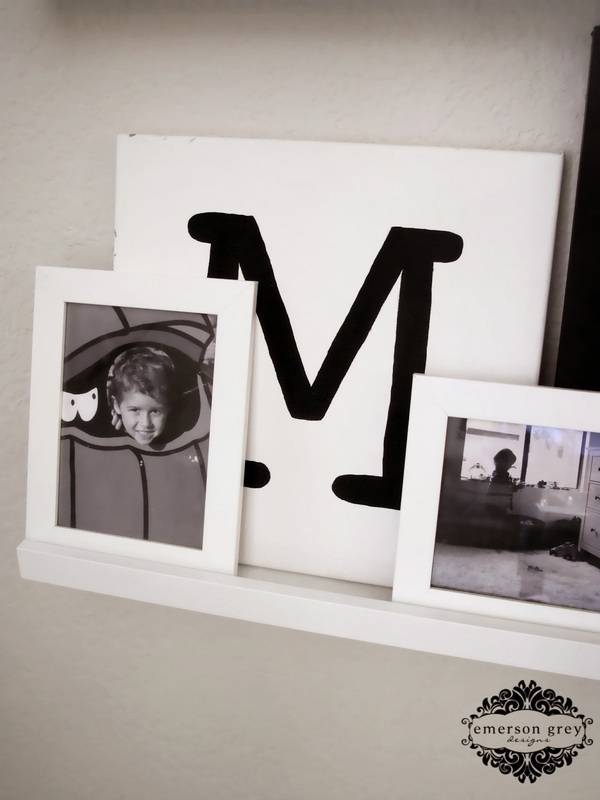 Well, why not print them out each holiday and feature them in your existing frames? That is exactly what I decided to do today. 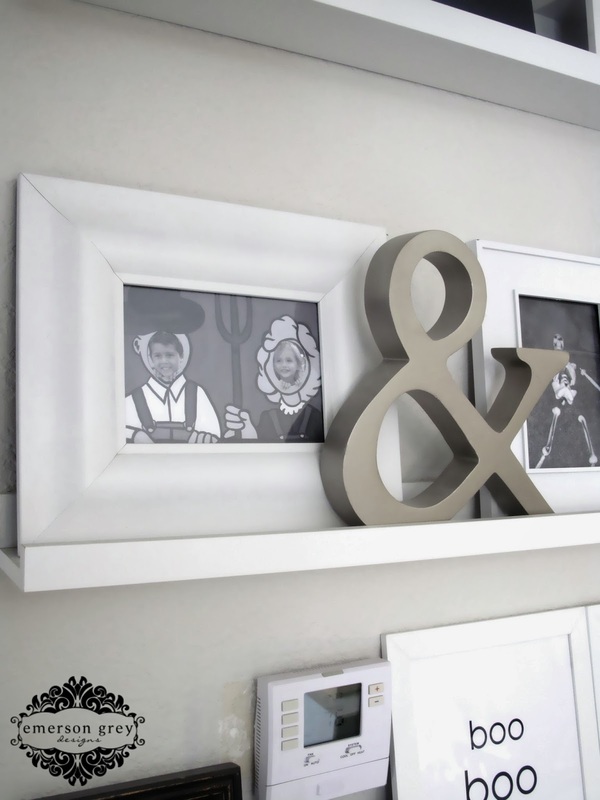 I used a few free printables that I found through Pinterest. 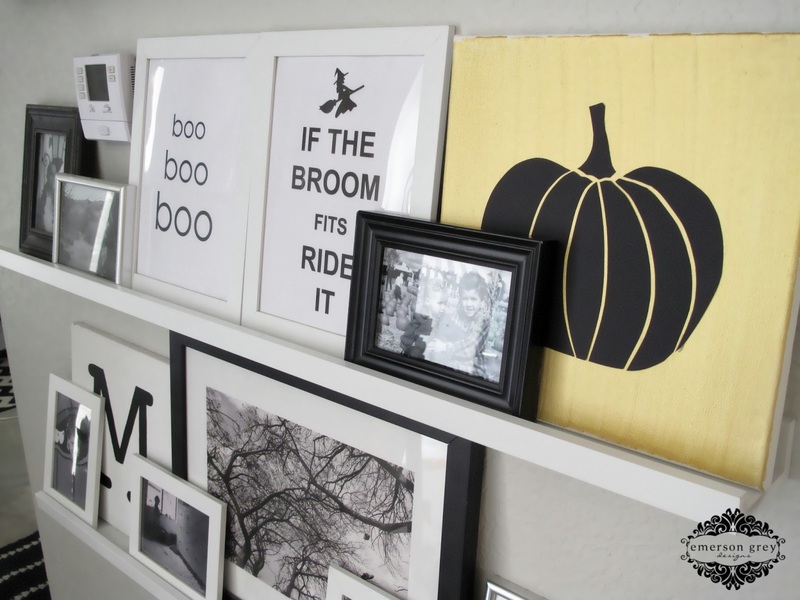 The “If The Broom Fits Ride It” print is from Crafts & Sutch. The “Happy Halloween” with the crow is from Visual Eye Candy. 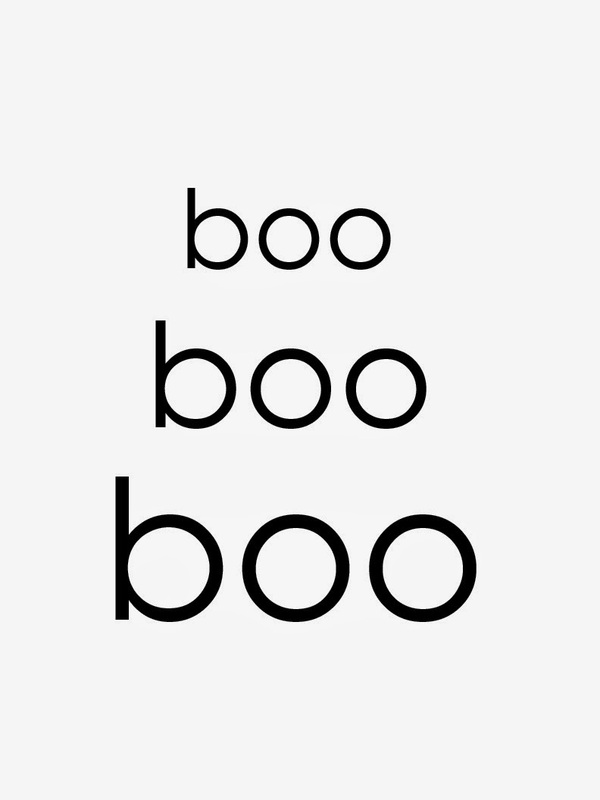 I created the “boo boo boo” and you can feel free to save it as an image and print it any size you’d like. 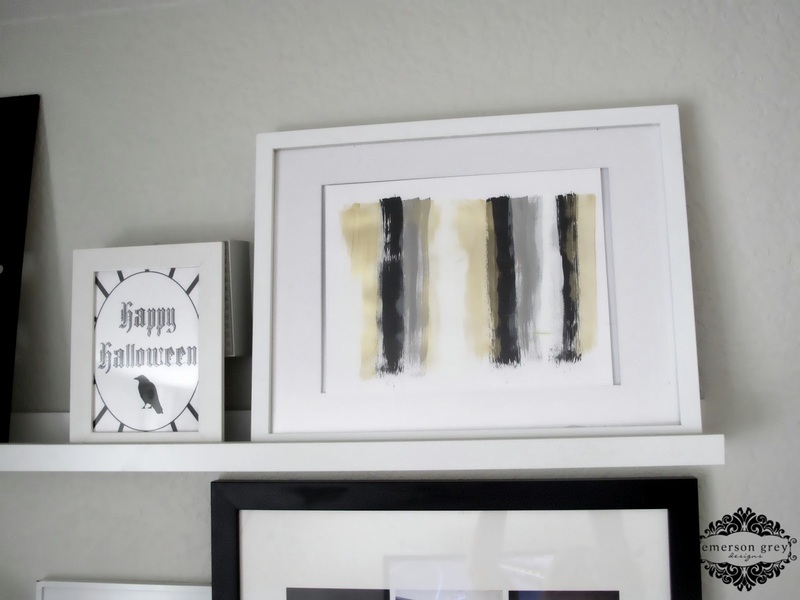 I also created the black pumpkin on the gold canvas and the abstract art in the top right corner…that tutorial will come in a later post, it’s crazy easy! 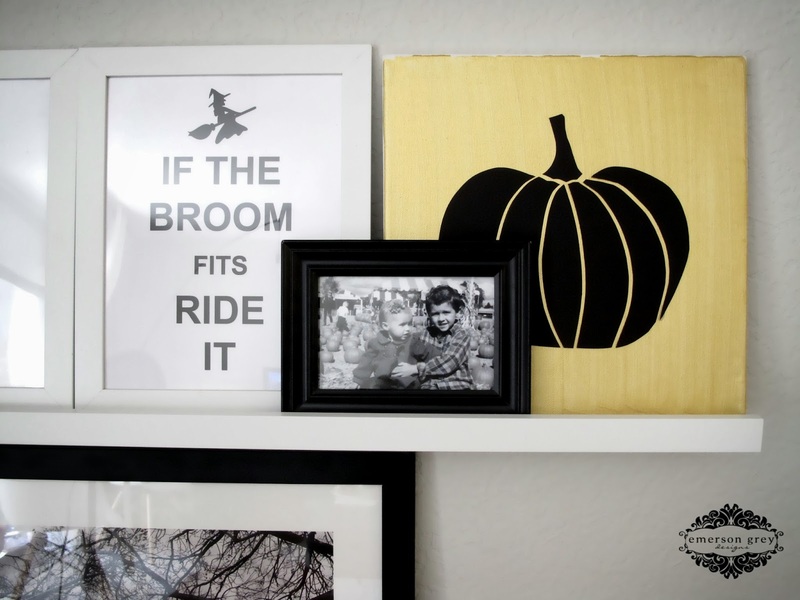 So…have your started decorating and are you having as much fun as me? ?